news AGL Energy has deployed Microsoft’s Project Online in order to more efficiently manage projects across the company. According to Bill Allars, head of Portfolio Management and Service Delivery at AGL (pictured), the management of the large number projects being conducted by the energy provider had become “time consuming, unwieldy and inefficient”. With individual project sites being created and managed within SharePoint, Allars said problems arose when staff were required to compile reports on the status of the projects. This ultimately required personal visits to each of the project sites, to collect the relevant information and compile it into a spreadsheet. “If you’re running 10 projects that’s maybe not so painful, but we could have up to 100 projects active at any point in time. Going through 100 projects, or 100 team sites, was difficult and time consuming,” he explained. To make matters more complex, schedules were compiled in SharePoint, costs in Excel and Reports in PowerPoint, while project data and documents were kept in different locations. So, to establish a “single source of truth” for project-related data, AGL turned to Microsoft’s Project Online – project management software delivered via Office 365. Since AGL was already using Office 365, Project Online deployment was relatively simple and became an extension of an existing enterprise agreement. The firm worked with Microsoft partner, EPM Partners, which held workshops and formal training sessions throughout the implementation process. EPM Partners also assisted in identifying a Best Practice Showcase template – a suite of forms, workflows and reports configured for Project Online and Office 365 that links directly into AGL’s Microsoft Azure SQL reporting platform. “When we used to do the review of project status reports, it was pretty much a full day’s work,” Allars said. “Now, it’s probably less than three hours work. Same thing for a review of project risks, we can knock it over in a couple of hours instead of a day. 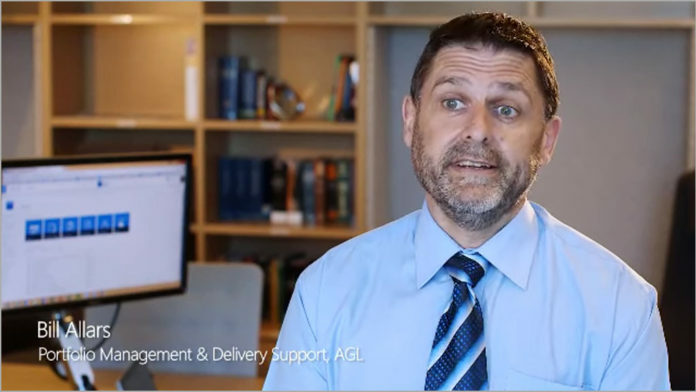 AGL said it now has around 550 users using Project Online to manage IT, Energy Services and Operations, and reports the benefits of the system as including reduced reporting time and project administration; more efficient execution of projects though better visibility of data; better use of resources through better planning; and reduced project risk through speedier access to data. According to a statement, the firm’s group operations are now gaining better visibility through high-level dashboards into some of the key projects underway at the power stations, and the expectation is that any project over about quarter of a million dollars will be tracked in that system. For the future, AGL is considering using Project Online to automate improvements in workflow and reporting, and seeking ways to better integrate it with agile projects. Explosive gas, fracking, and Microsoft. What could possibly go wrong?